Governor Godwin Obaseki has expressed his administration’s desire to make Edo State the most prosperous economy in the South-South within the next three years. Besides, Governor Obaseki expressed confidence that in another seven to ten years, his desire was to position the State as the number one economy in the country, a statement by the Chief Press Secretary, Mr. John Mayaki contained. The statement quoted Governor Obaseki while declaring open a 3-day strategic policy dialogue workshop with the theme: Setting Agenda for the new Administration with Permanent Secretaries in the state civil service as participants as well as political leaders and critical stakeholders in the state. Governor Obaseki said, “15 to 20 years, we want to be the number one investment destination in the continent,’’ adding that to achieve this vision for the state, “first class institutions capable of nurturing transformation policies must be built”. He noted his administration’s quest to deliver on infrastructure that would be better than what was available in the Federal Capital Territory. “We must deliver on infrastructure that is better than what is available in the Federal Capital Territory. We must aim at generating revenues much more than Lagos without putting unbearable tax burden on our people. He said the workshop would address issues such as how the state would achieve economic revolution that would translate to having a developed world class infrastructure. According to his words, “How do we ensure institutions are reformed so they can deliver? How do we ensure that we can create a state that is socially conscious and create emphasis on the welfare of our people? “How do we ensure that our culture which is world class acclaimed is displayed and made available for the world to enjoy our tourism as well as sustain our environment”. The governor noted that in the case of the economy revolution, the thematic group should focus on how the State would establish investment bureaucracy that could begin to attract world class investment. He added that focus should be on strategic plan that could create minimum of 200,000 jobs as well as many small scale and medium enterprise that was sustainable. 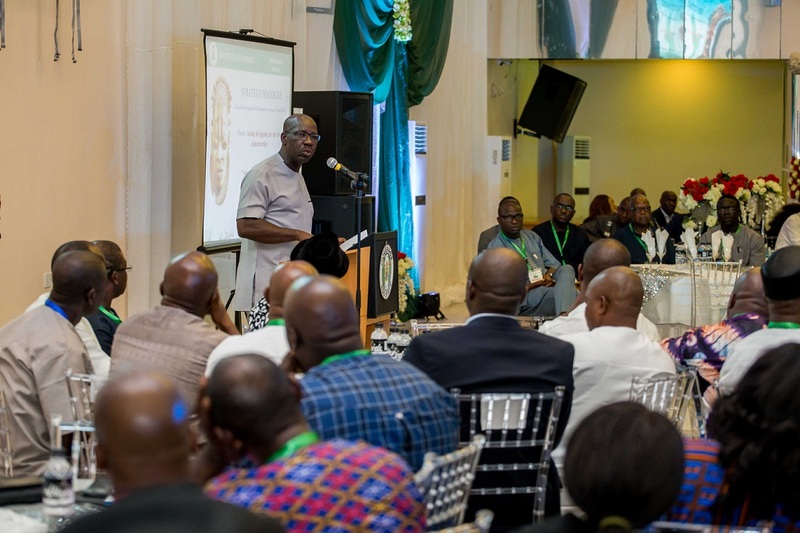 Obaseki further urged other thematic groups on their expectations from the government at the end of their three-day brain storming session, adding that their resolution would be the working document for developing the state.